Going Nutty! : First Full Day of Vacation!!!! First Full Day of Vacation!!!! The Mr. gets home around 4pm each day- I was out of bed promptly around 3:45pm....I am totally not kidding. If you have followed me, you may have noticed a theme. Naps. Naps are golden. During the week I stay up way too late and I wake up way too early- so I treat myself on the weekend. With today being the first full day of the Winter Break, I took FULL ADVANTAGE! Now, some of you are thinking- hasn't she posted about children?....aren't there children in the home?...should we be concerned???!?!? Let me refresh your memory...The oldest is 15, oldest son is 10 and youngest son is 7. So my theory is that no one no longer needs my assitance in the bathroom department, they can all reach the breakfast and lunch foods that are in the kitchen pantry (that do not require to be heated) and the longer I hide out in the back, the fewer chances they have at getting into trouble! PLUS they get extra time on the Wii. So put down the phone, no one needs to contact any children's services.....UNLESS a certain 10 year old comes stomping down the hall again- then there may be issues! I rested all day in my new kajamas (that is what the youngest used to call them and so it stuck in our family). Too cute! And pretty comfy, too- One of my sweeties gave these to me Monday.! They just don't make enough clothes with squirrels on the them! I know, that's a little out there, too! 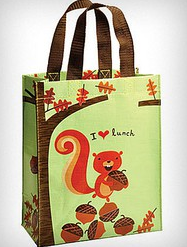 I will probably be a teacher forever and get things like these squirrel lunchboxes and squirrel paper clips...well, I guess I need to get on the ball- Christmas is at our house this year OH GOD HELP ME yeah! I am almost done decorating the outside and then I have to clean up inside. All I have left are the lights! Things have been a little nutty these last few days, so I just have to it all put back together! mental note- next time I'm in the library with my boys getting some books, do NOT attempt to catch up on blogging... it only gets me in trouble. 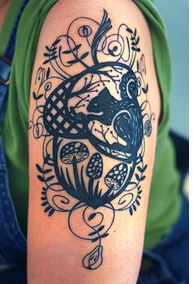 Love the tatoo!!!! NOT!!!! 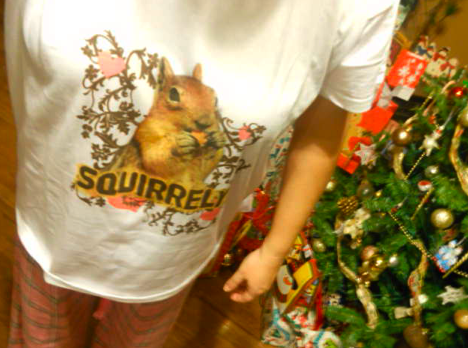 Well, it would probably be okay for you since you are such a squirrel and for sure a little nutty! Hope you continue to have a restful holiday season! those nails are pretty out there. I saw some on pinterest that were pencils -- the top was the pink eraser, the middle was gray for the metal part and the bottom was yellow. It was interesting! Sometimes on my vacation I make myself get up just to come out the couch...have my splash of coffee with my hazelnut (YUM) creamer and watch TV. Currently, I have spent the ENTIRE day with the only lights on being the Christmas tree and a string of lights with some decor AND catching up on One Tree Hill via netflix. It has been amazing...I am still in PJ's, too! Ahh..vacation! 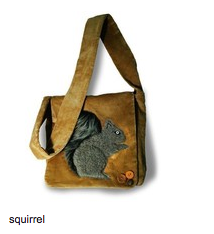 ps: Who knew there were some many squirrely things? Some cute...some hilarious! Last day of school was today! Yee ha! If I finish shopping tonight, I may get up and move to the couch before the hubs gets home! Love LOVE that my kids are old enough to do for themselves with the toaster and microwave now. It's good for theme to feel independent. I can't WAIT to be able to not have to get up with my kids...BUT that'll be a LONG LONG LONG time since they are TWO and just about to be born! lol!! What a cute post! I guess there's all types out there. 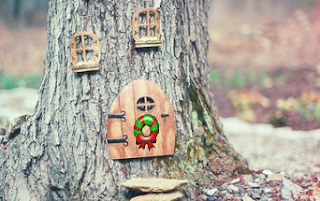 :) now nuzzle in for a merry christmas in your little tree house! I Was a Scaredy Squirrel! "Don't Make Me Pull This Line Over....!" I Need Some Real Elfin Magic! "Things I did not accomplish for $200, please..."
Look at me! Breaking the rules again!